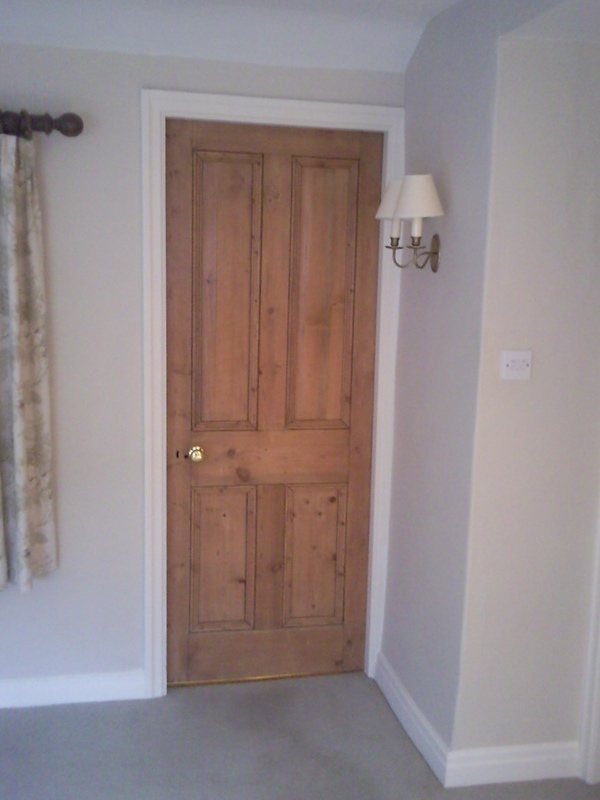 Although we have old period pine doors available in all sizes the standard Victorian door was 78" x 30" which is not a problem for us, however if you are having new frameworks fitted before doors are purchased then you should make the openings to 29 1/2" and to a height of 77 1/4". 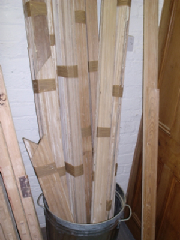 We say this as the old stripped doors in many cases have been trimmed down and so customers can choose from more stock if the doors are slightly smaller than 78" x 30". 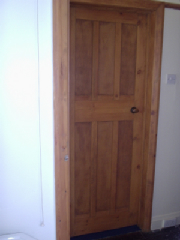 Don`t worry though if your doors are that size or even wider as we specialise in providing wide doors as we appreciate finding high quality doors to a tall or wide size is very difficult. 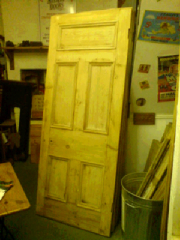 All our old Victorian doors have been fully stripped and left to dry for several months. They are then restored and put into racks where customers can pull each one out to check over. Therefore each one is completely dry and ready to wax up and be hung. We also provide a waxing service at £45.00 per door and a fitting service which is £60.00 per door. 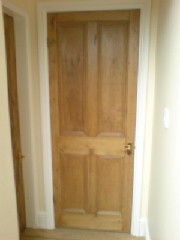 The fitting we have done all over the country and we can get four doors fitted per day so if you have 12 doors to fit for example then we would need three fitting days so two overnight stays at a local b & b which we arrange through laterooms.com . 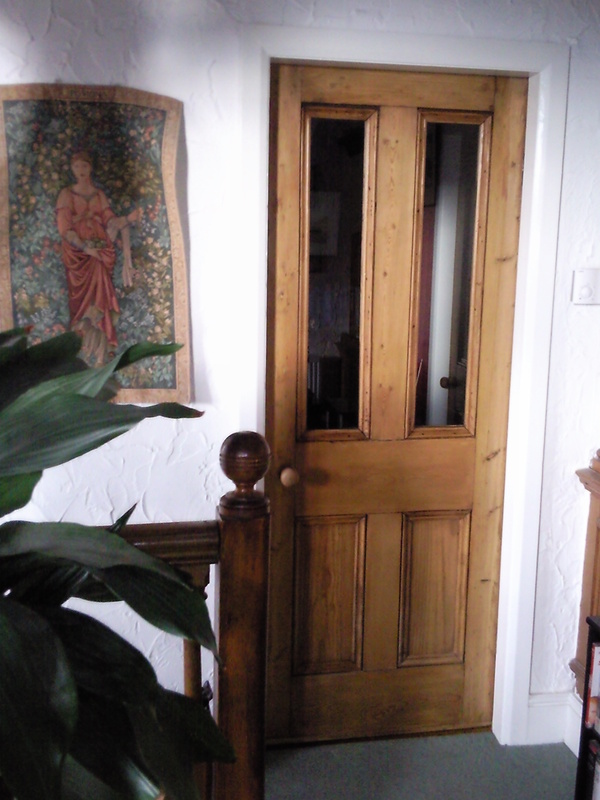 And we provide handles and locks to complement the Victorian doors so we can proudly say that we offer a complete stripping, restoration, waxing and fitting service of antique doors. At Falcon Pine We never Rush You, So Take As Long As You Want In Our New Door Showrooms. 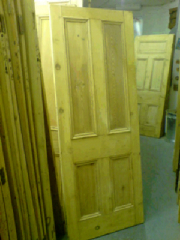 Over the last few years, we at Falcon Pine have developed a very large stock of original stripped old period pine Victorian doors and now have over 500 in stock at any one time. 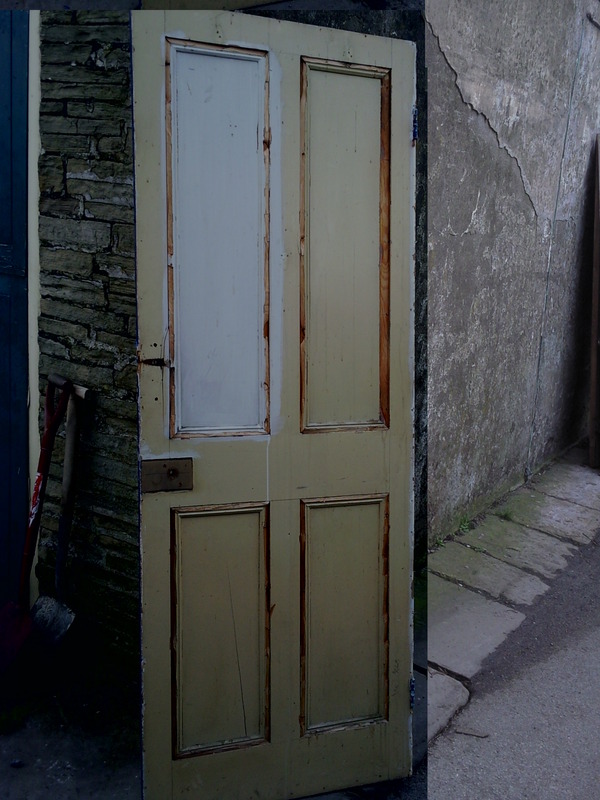 We hope to continue to source these old doors and add to our stocks and feel sure that over the next couple of years can increase the number of doors we have to choose from to over 1000. 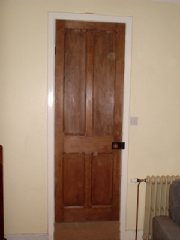 We have sold internal and external old period doors all over England, Wales , Scotland and Northern Ireland as well as Southern Ireland. 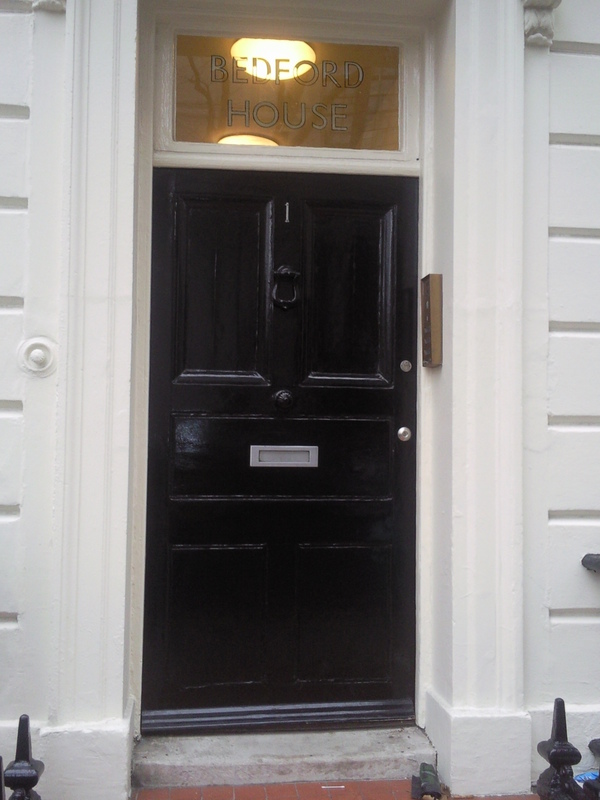 It is easy for us to send you details of each door by taking a picture and sending as an attachment to an email or print off and post out to you along with prices. 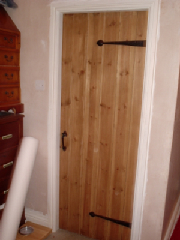 After that, we can carefully select the best door available to suit your sizes. 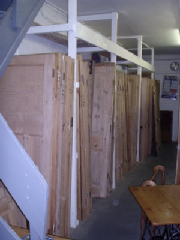 If it is a small order of just 1 to 5 doors then we can send by carrier or if you intend to order many doors then we are able to deliver anywhere in Great Britain and Southern Ireland. 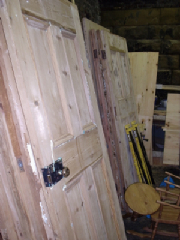 For example we have recently delivered 15 wide old doors to a new build house in Donegal , Southern Ireland. The customer paid £100 for the diesel cost and half towards the ferry as I went at the weekend and made a short break of it staying on an overnight ferry crossing and then in a hotel at no cost to the customer on the Saturday before returning early Sunday morning. Please do not be put off by the distance as we at Falcon Pine are perfectly placed in West Yorkshire for all motorway links and therefore to deliver or to work in different parts of the UK is easy for us. WE CAN STRIP YOUR PAINTED DOORS IN OUR CHEMICAL STRIPPING TANKS.....CLICK ON THIS LINK FOR DETAILS ON THE FULL PROCESS. 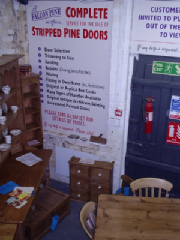 We have hundreds of Victorian stripped pine doors on display in our new basement showooms, an area that is devoted purely to giving customers the space to view each door in a spacious showroom next to our workshops where expert advice is on hand at all times. 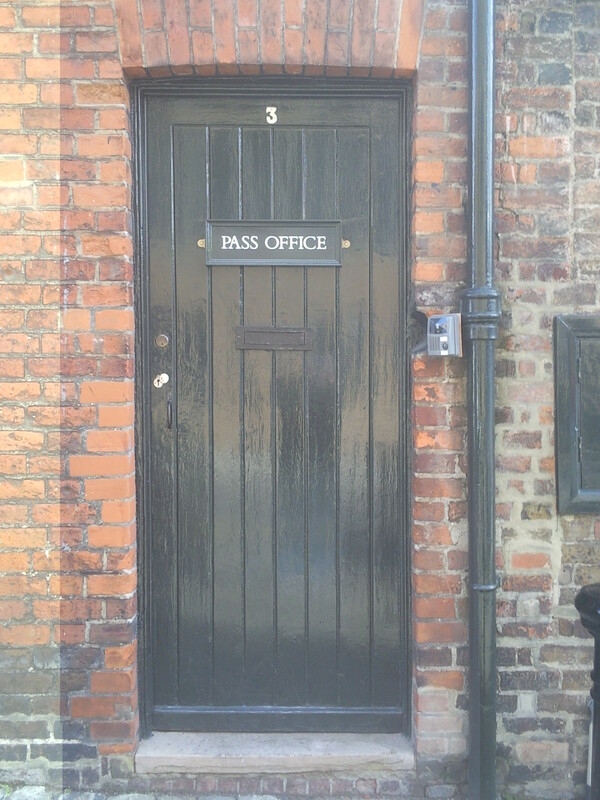 Exact sizes are on each old door. Exact prices are on each old door. Fitting can be arranged if required. We can cut to size if required. 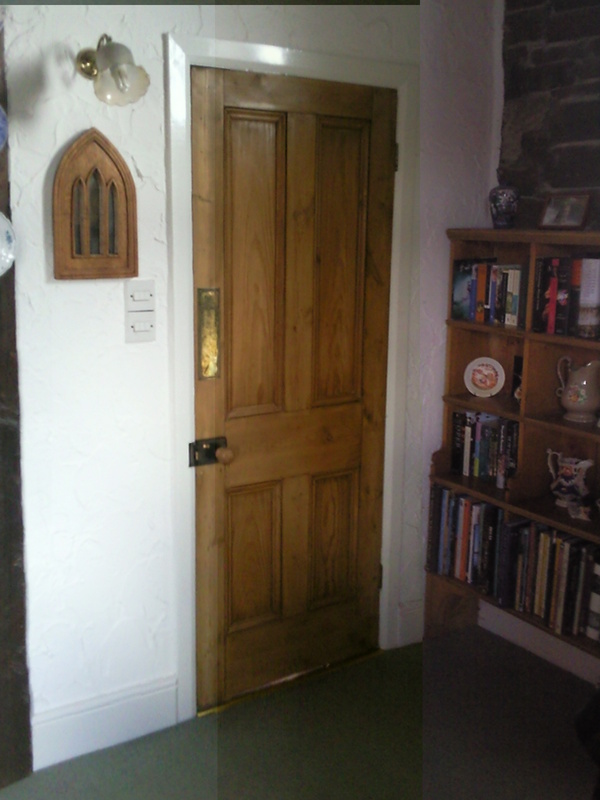 We also restore / repair / wax doors. 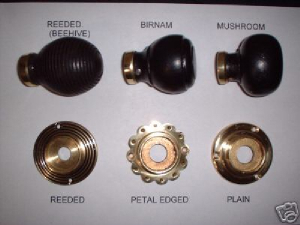 Original Victorian rim locks / handles or replica rim locks supplied. 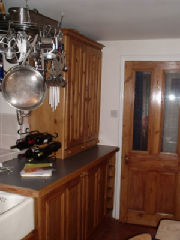 Glass top panelled doors available or we can remove timber panels for you and replace with a choice of different styles of toughened safety glass. 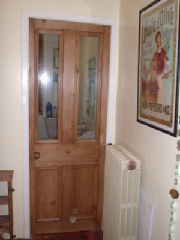 We have lots of doors available in the popular styles of different eras. Mainly Victorian. All sets of handles come with a bar & 2 handles for price listed above.